The past month’s diving in Sodwana Bay has been fantastic – the ocean is alive. Conditions have been variable – with average 10-15 meters visibility, the water has been slightly green & the temperature is 22 degrees. The Humpback whales are everywhere- as they make their way north to calve and then return to their feeding grounds in the Antarctica. 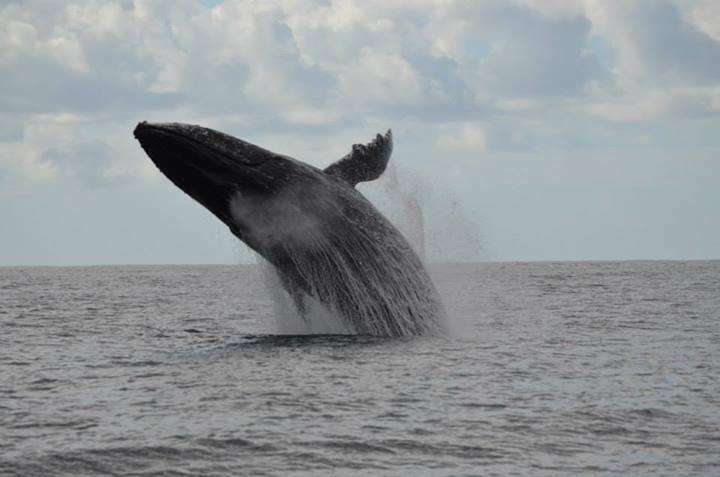 Up to 50 humpbacks were sighted on a single trip to 7 mile! They put on a show with breaching and lobtailing – some lucky divers have even had the incredible experience of seeing mothers with small calves on their dives over the past few weeks. A 2.5 m female great white paid the divers a visit on Mellow Yellow last week – she was very relaxed and just slowly cruising north. They also saw a great Hammerhead on a deep dive on Gotham City, a dive site located out to sea of 5 Mile Reef. There have also been quite a few whale shark sightings and divers have been lucky enough to have some incredible swims with them as well as lots of bottlenose dolphins & manta rays around. Dates for this year’s Sodwana Shootout have been released – 25-28 Sept, if you are a keen underwater photographer, don’t miss out. More details coming to our website soon.